Congratulations to Anthony Borton, QuickLearn’s TFS course developer and lead TFS trainer! 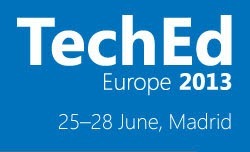 Anthony recently received an email from Microsoft confirming he delivered the highest rated developer pre-conference seminar at TechEd Europe this year. His seminar was titled Kickstart Your Application Lifecycle Management Using Team Foundation Server 2012 and was focused on helping attendees get a better understanding of how TFS 2012 can offer benefits across the entire application lifecycle. 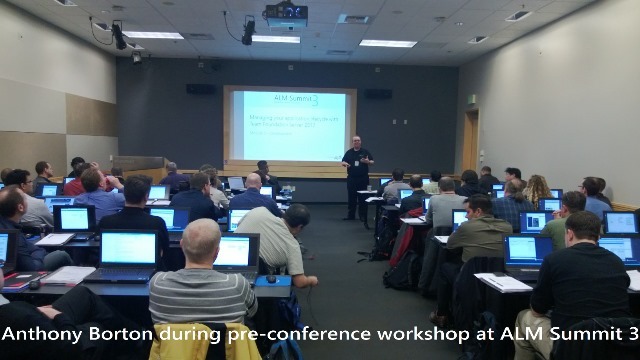 In addition to this, he also had the highest rated developer-focused Instructor Led Lab (ILL) for the conference. His ILL, titled Get Started with Team Foundation Service gave attendees hands-on skills to get started with Microsoft’s Team Foundation Service. 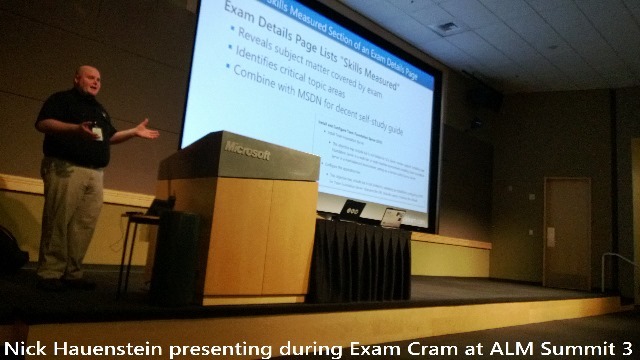 Microsoft Learning used the ALM Summit 3 this week to announce the new “Microsoft Certified Solution Developer (MCSD): Application Lifecycle Management” certification. The new certification required you to pass the following three exams. QuickLearn’s two TFS instructors have both already obtained this certification and have prepared comprehensive exam preparation sessions to help candidates focus their study and pass these exams. The exam preparation sessions are available as FREE, ONLINE WEBINARS that anyone can register to attend. Over the coming month we’ll also release online video preparation sessions. Attending these webinars will help you in the following ways. Understand the goals and objectives covered in each exam. Get links to study material on the Microsoft MSDN website. Go through some samples questions. See product demonstrations for topics listed in the exam preparation guide. Learn techniques to help you when you’re doing the actual exams. To sign up for any of the free webinars, simply click the following link, choose the webinar you wish to attend and register. NOTE: We do not tell you the questions or the answers. We provide sample questions that we have written ourselves. We respect the NDA we signed prior to taking these exams. We do not encourage the use of brain dumps. Brain dumps devalue the certification and reduce value for everyone. January 1st is one of 4 dates during the year when Microsoft announce their new and renewed Most Valuable Professionals (MVPs). As someone that was awarded on January 1st, it means the year starts off with a regular scan of my emails to see if my community contributions have been sufficient to be re-awarded. Sitting proudly in my Inbox was the much anticipated email confirming that I have once again reached the bar to be an ALM MVP for another year. In addition to my community contributions, I’ve been very busy with our TFS training curriculum. We start 2013 with 6 TFS 2012 courses, the most comprehensive curriculum for TFS 2012 in the world today. Over the next 3 months we’re also releasing two new courses to bring the total up to 8 courses. Stay tuned for news on the following two courses. Microsoft will release to manufacture (RTM) Visual Studio 2012 and Team Foundation Server 2012 in the first week of August with the official release planned for September. With the majority of users eligible for a “free” upgrade to the latest version through their MSDN Subscriptions, expect to see many organizations upgrading over the coming six months! Support for teams within a Team Project with independent backlogs, dashboards and task boards.